To run the sample Visual Studio 2008/2010/2012 or higher is required. Select barcode type to scan (by default scans for all known types). You can look at the code in ByteScout Blog. The full source code of this sample is included into the evaluation version of BarCode Reader SDK. 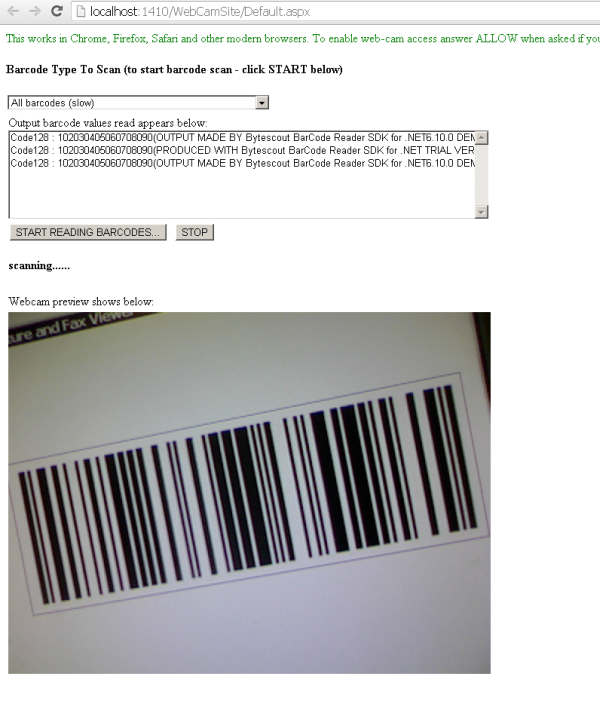 Another sample how to read barcode from web camera for desktop applications is here.